Beer and the process of brewing beer may predate our current understanding of history. 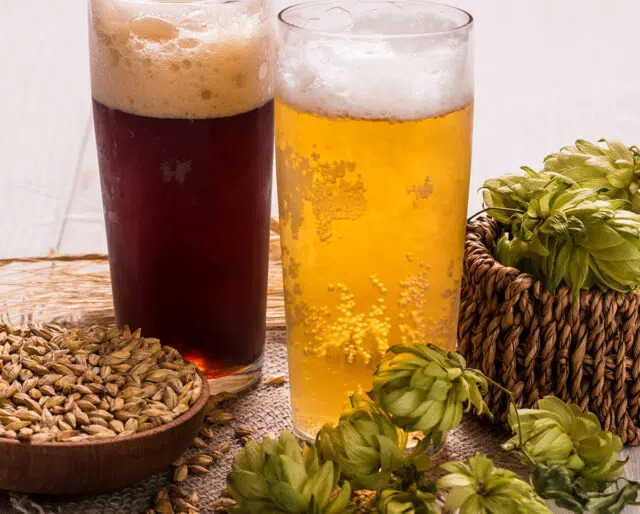 The crafting of beer carries rich traditions, often requiring years of training and experience in the trade while the methods, grains, and flavors continues to change and evolve over time. To become a brewmaster, it may take years to develop the skill and expertise necessary to craft a quality beer every time. One sure requirement is a love of beer and the craft. When is National Beer Lover’s Day 2018? National Beer Lover’s Day is celebrated every year on the same day: September 7th—nice and easy to remember, so you can focus on drinking! Drive to your local beer-selling grocery store and pick up a nice, refreshing 12-pack. Invite your friends and family members to have a great time catching up with some brews in hand. A “bar crawl” as the act of an individual or group of people drinking at a number of bars in a single day or night, normally walking between them. Go online, and search for a brewery near you. You’ll be amazed at the various locations you’ll find, it doesn’t take much planning to have a great time at a brewery. According to researchers, the taste of beer releases a chemical in the brain which makes people want to drink more. Moreover, beer’s taste - without even any effect from alcohol - can trigger the production of dopamine in the brain, the study by researchers from Indiana University found. Beer goggles? Try beer mirror. British researchers found the more drinks people consumed, the more attractive they found themselves. Beer is not just a drink, it is an achievement of sorts. From all the hard work that gets done – it ends with everyone getting together for a beer. It's sort of like a gold medal at the end of anyone's day.